After they were crowned Chuckit! Challenge Champions earlier this summer, it was time to meet our 2017 top dogs, Tag and Sarah, last week to present them with their prizes! While there were some impressive pho-dog-raphy skills displayed in this year’s Chuckit! 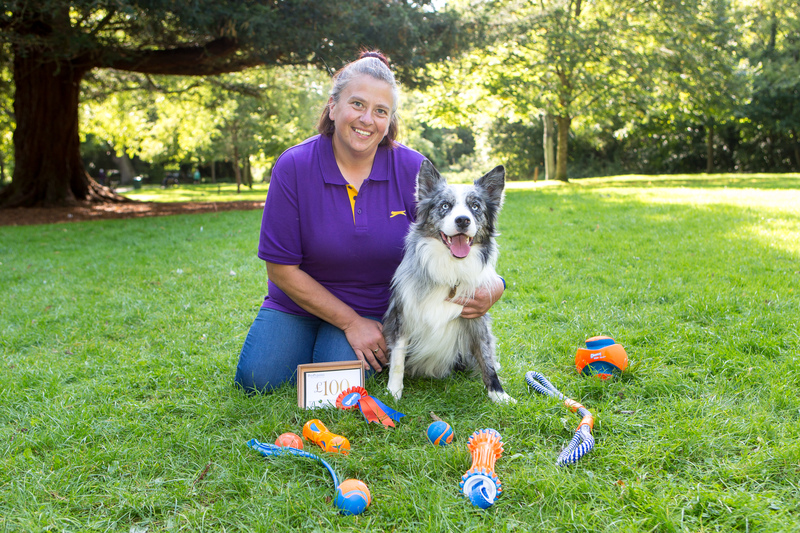 Challenge, it was easy to see why Sarah and Tag were able to scoop an incredible 2855 votes − as they posed up a storm again with their pet-acular prizes. Still going mutts about their win, we presented the duo with their prizes at Hampden Park in Eastbourne last week. Their prize package entailed £1,000 worth of vouchers for a dog-friendly holiday courtesy of Pets Pyjamas, and of course some brand new Chuckit! toys too. It was clear what was catching Tag’s attention though, and his new toys, including our HydroSqueeze Bumper and Mountain Rope Tug ranges didn’t stay shiny for long! We hope the winning duo have a grrr-eat time on their upcoming adventure - don’t forget to pack a camera in your doggy bag guys so you can send us lots of snaps! While that officially brings the 2017 Chuckit! Challenge to a close, there will still be plenty more oppawtunities to win some brilliant prizes with us over the next few months, so keep your puppy dog eyes peeled on our Facebook and Twitter pages to find out how you too can be a winner!